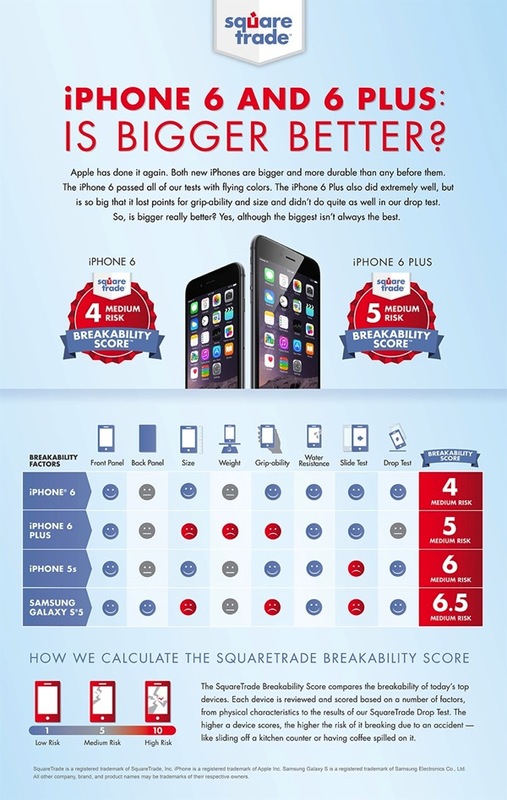 SquareTrade has put Apple’s new iPhone 6 and iPhone 6 Plus through their own drop tests, announcing new Breakability Scores that beat out the iPhone 5s and Samsung’s Galaxy S5. The iPhone 6 fared well across all ‘break ability’ factors such as grip-ability, the slide test and drop test, coming with a lower breakability score than the larger iPhone 6 Plus. Samsung’s Galaxy S5 fares worse than the iPhone 5s, iPhone 6 and iPhone 6 Plus with a breakability score of 6.5. While these tests conclude there has been an improvement, some of the first iPhone 6 and iPhone 6 Plus drop tests told another story, as both devices succumbed to cracked screens when dropped on pavement. 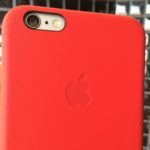 Do note SquareTrade is in the business of selling third party warranty plans on electronics, such as Apple’s iPhone.